I am looking for a good homes for our lovely litter of miniature dachshund puppies. We have available a cream brindle boy. He is being handled daily by our family and used to household noises. The mother of the puppies is a well bred KC REG red dapple girl PRA cord.1 hereditary clear. The father of the puppies is a well bred KC REG red brindle PRA cord.1 hereditary clear. The puppies won...t be kc reg .family homes only. Pups are microchipped.wormed.vet checked and vaccinated. Puppies will be ready early October. Adopting, or buying a new puppy or dog is an important decision and big responsibility. As an owner, you will solely responsible for the welfare of your new pet and will also be financially committed. Before you decide to buy or adopt you must ensure that you’re 100% committed beforehand. For further information on caring for puppies and dogs, please visit our pet advice section. 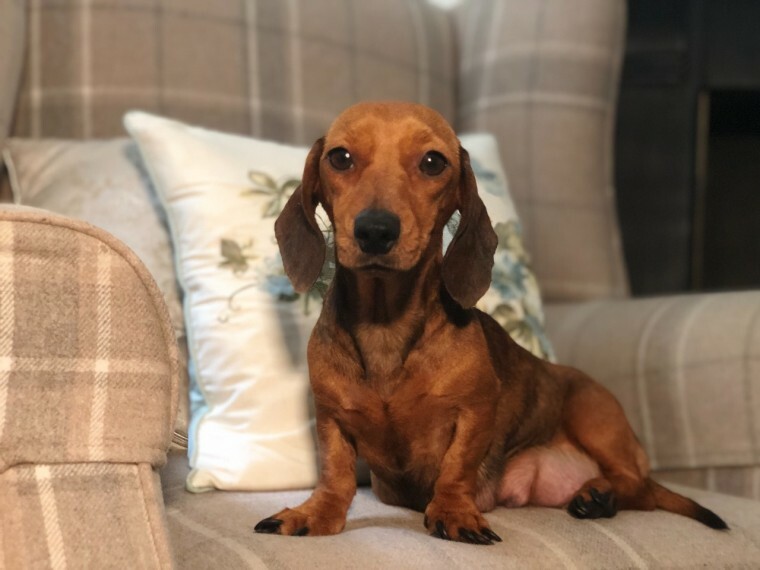 You can also find out more information about the Miniature Dachshund breed by visiting the Miniature Dachshund Dog Breed Information.